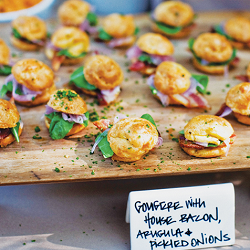 Looking for easy, convenient snacks for your event? Look no further than finger food! When you have a large number of guests and are short on seating, then it is a wise idea to order finger food catering for your guests so that everyone is satisfied. 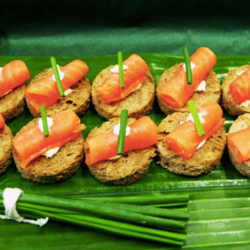 Finger food can be perfect for snacking and provides a cost-effective alternative to fully prepared meals for large events. 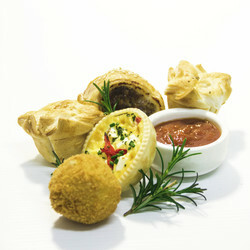 Well-presented finger food platters are also sure to add a touch of class to any occasion. Finger food doesn’t need to be cooked and will save you time and money while offering your guests a greater variety of food choices, be it sweet, savoury or both. 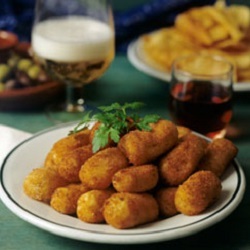 There are variety of finger foods available on the market and some the most popular dishes include prawn skewers, meatballs, satay, kebabs, dumplings, fish and chips, lamb cutlet, potato skins, Pattie, gourmet tartlets, mini pizza, mini hamburgers, pancakes, oysters, arancini, samosa, slider, rice paper roll, frittata, bruschetta, cupcakes, pastries, sushi and twisters to name a few. With so many options available to the customer it can get overwhelming fast and that’s where we come in. 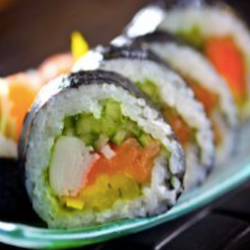 With Caternow it will be easy to find finger food caterers in Melbourne, finger food caterers in Sydney, Brisbane, Perth, Adelaide, Canberra and other cities in Australia who can meet all your finger food catering needs. 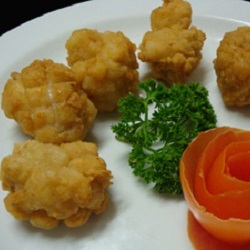 If you are planning to order finger foods then search local caterers below, order your favourite finger food catering, party food, party catering, or canapes and let us worry about your order.